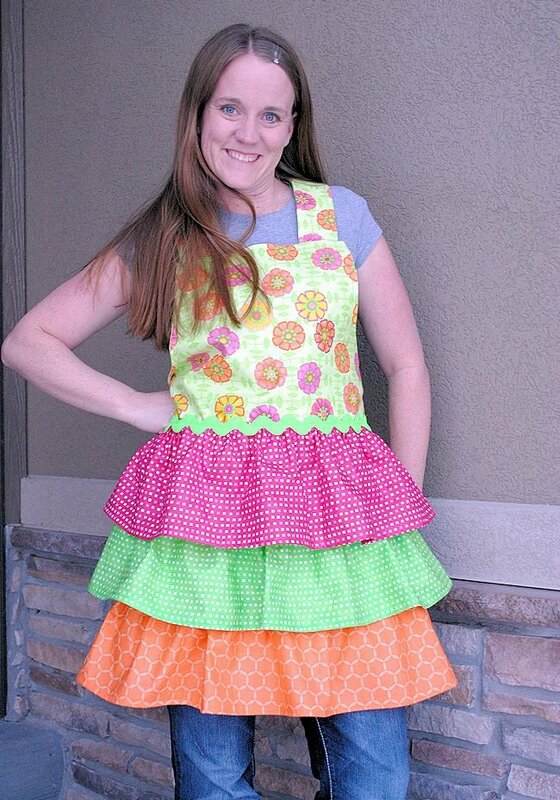 This is probably my favorite in the Learn to Sew Series tutorials-it’s time for ruffles! Seriously-who doesn’t like ruffles? OK, maybe the little boys who are doing our series don’t like ruffles. Maybe they can take the week off and try a Crazy Little *Kids* Project instead? But let’s make some ruffles! Our sponsor this week is soft and cuddly. Cuddly like you can’t imagine. Your kids will love this! It’s Shannon Fabrics-home of the softest EVER Cuddle Fabric. Don’t know what Cuddle is? Check it out for yourself. But seriously-you’ve got to touch this stuff to fully appreciate it. 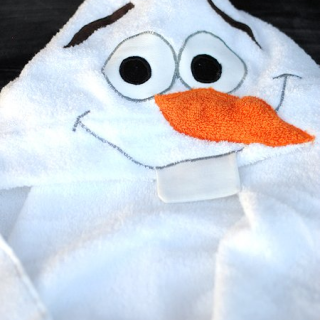 I’ve never felt such soft fabric in all my life! Shannon Fabrics is going to give a $50 prize pack to one lucky winner. Your kids will love something made from cuddle, or they have terry (watch for a tutorial using terry this week) and other great fabrics. Enter to win at the bottom of this post. Making ruffles is going to be slightly more difficult than the previous lessons. Please encourage your child to be patient with this and not to expect perfection right away. And to have fun with it! Start out by preparing your fabric. 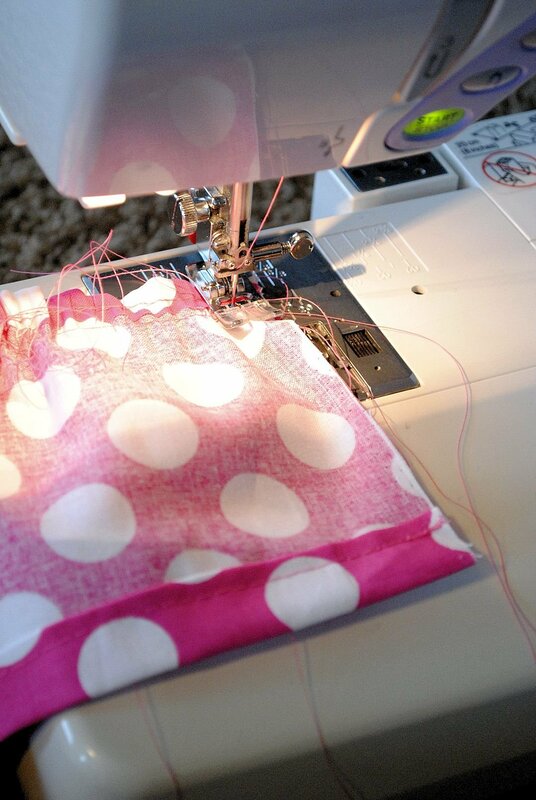 You will need to cut it to the length indicated on whatever pattern you are using. Usually you are also probably going to be asked to hem your fabric before you create the ruffle. Get all of that done before you do the next steps. 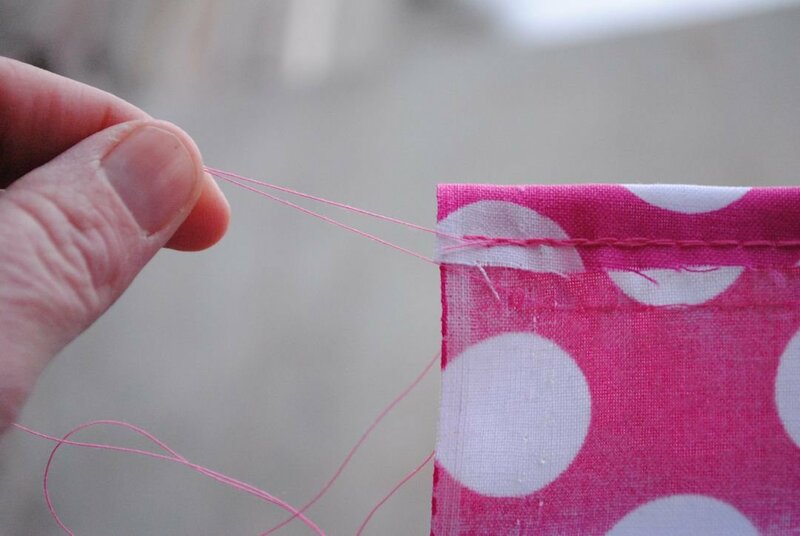 With your fabric ready, run a long baste stitch along the top edge of your fabric. DO NOT back stitch to knot your thread. Leave the threads long and hanging on either end. Now run a second baste stitch (again, don’t knot) just below the first one you did. Again, leave your threads long. Now let’s add those ruffles to something shall we? I’ve got 2 project options this week. 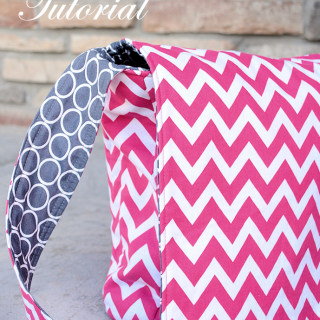 The apron is a little harder-so stick with the tote unless you are DYING to try the apron. Maybe start with the tote, then try the apron? 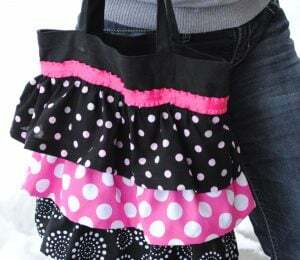 This Ruffle Tote Bag is one of my all time favorite projects. It’s pretty easy and turns out adorable! I would love to learn to sew a wallet/wristlet that can fit my iPhone WITH the Otterbox on it! I made a tote bag for a 2 year old girl. I think I will add a sweet little ruffle to it now that I know how. Thank you for the tutorial! I have been bit by the sewing bug again and would like to learn more about making clothes for my son. 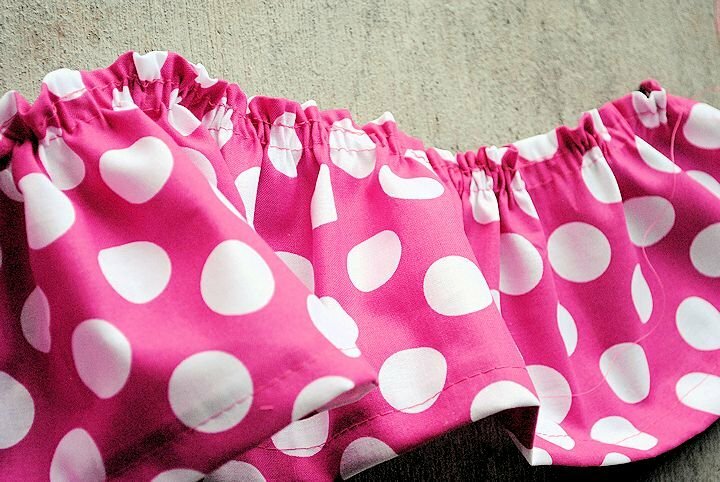 Wow, all these cuddly beautiful fabrics and a tute on making ruffles too! I am so inspired and READY to try a new challenge. 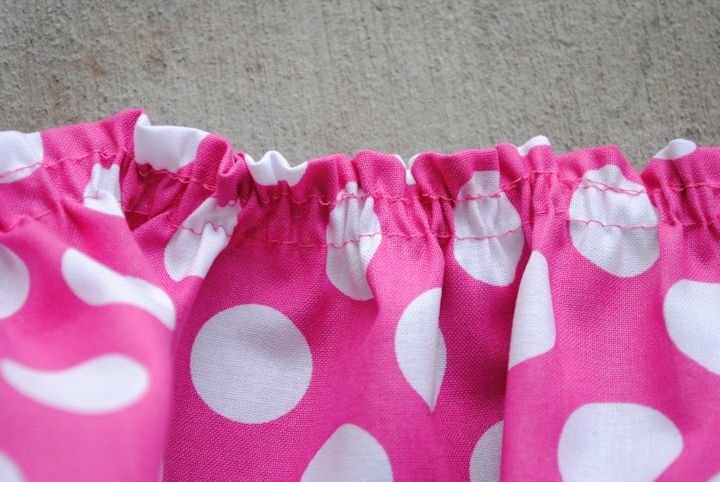 I am planning on sewing a cute little ruffly tiered skirt for my little granddaughter’s first day of Kindergarten. Thanks to you I’m not afraid of tackling ruffles! My daughter is loving the tutorials that are just for her! She is making her own ruffles now! 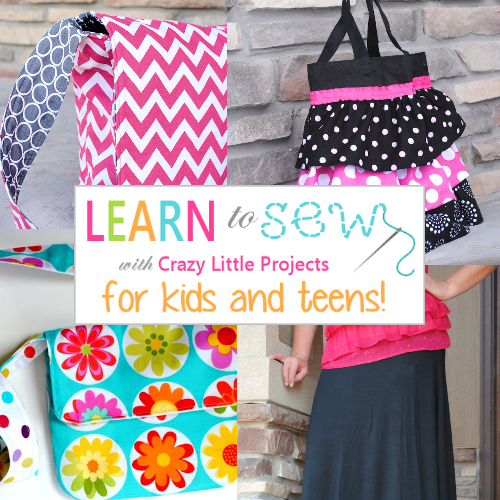 I would love to learn how to sew kids’ clothes. Jeans, mostly since my kids are all tall and skinny. 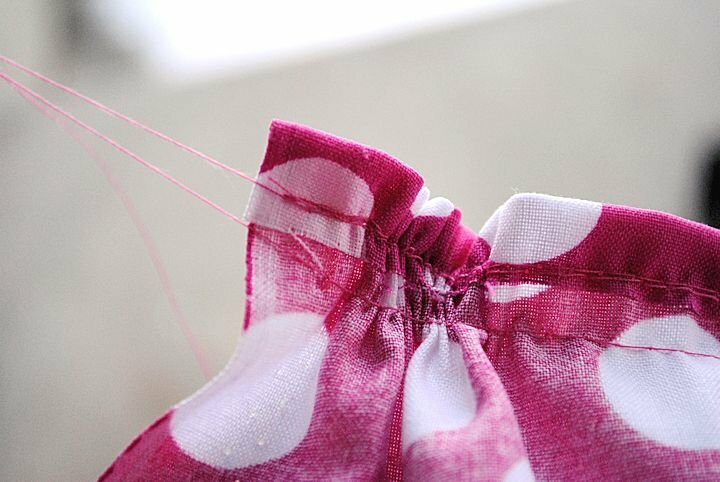 Nothing in-store fits them, and while the buttonhole elastic adjustable waistbands help, a couple of the kids still end up with a lot of fabric poofed up around their waists if we get something that’s long enough to cover their ankles. But they all still love to wear jeans over any other options! Great tutorial for new sewers!!! I want to learn to sew cloth diapers! 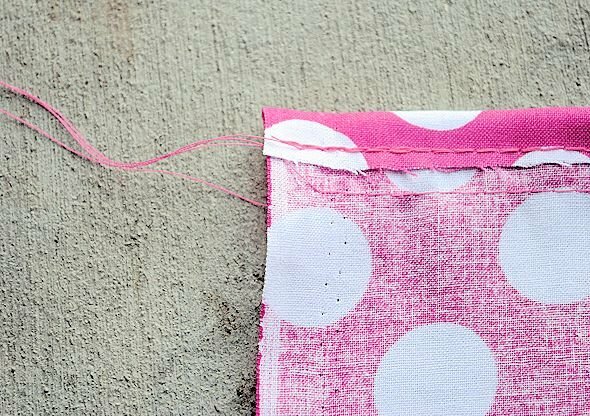 I have never known how to sew but I love these simple tips. I am dreaming of a maxi skirt and I hear they are super easy! I really want to make my own! A tutorial on how to make a t-shirt quilt or t-shirt pillows would be great! I am going to try a quilt one of these days! I love this fabric!